How to Choose High Quality Claw Crane Machines? It’s not sure whether there are good goods or not, but believe that good goods are definitely not cheap. Because the production cost of high-quality products leads to a high price. The crane machines on the market have so great difference in the price range. The product quality is uneven. Why is a good claw crane machine not cheap? Because the analysis of a huge market database, from the design to the selection of parts, assembly and repeated testing, each link requires a huge investment. Only the claw crane machines produced in this way can guarantee the quality and be welcomed by the market. 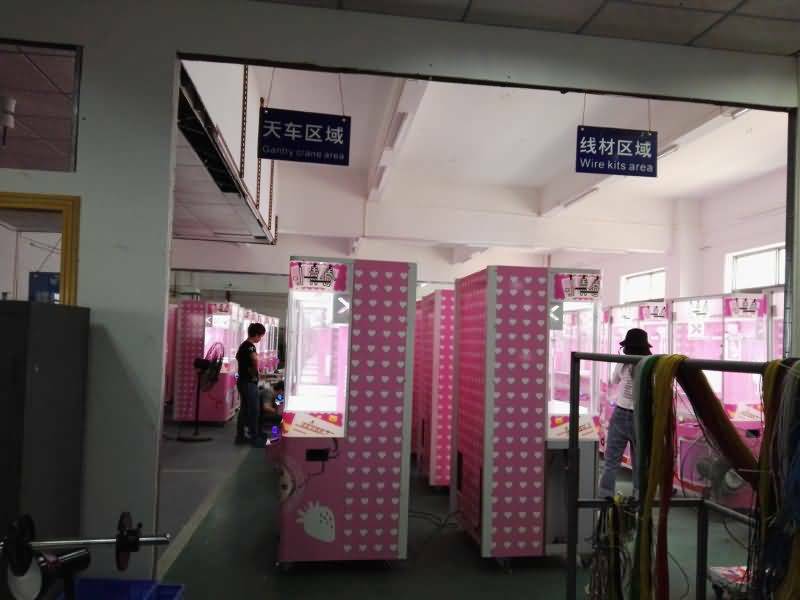 The main parts of the claw crane machine include electromagnets, motors, hooks, micro-motion, control modules, machine frame, and other major aspects. The electromagnet is the core component of the entire claw crane machine. The purity and level of the iron core greatly affect the performance and life of the cranes. It is usually combined with anti-magnetization and anti-carbon deposition technology can accurately feedback voltage and quickly adapt to the requirements of the working environment. On the other hand, common products on the market use PL4 ordinary iron cores without magnetization prevention, carbon deposition and precision voltage feedback. The motor provides the whole claw crane machine with the power to run. The quality of the motor determines whether the cranes are stable and durable that can move smoothly. The life expectancy of claw crane machine for micro-motion is high-strength 150,000 trigger detection without faults. High wear-resisting structure to protect the body in safe and durable. Gantry crane is the most intuitive part faced by consumers. The number of hook claws is a program design that determines the natural performance of the doll machine grip simulation and grip. Neofuns Amusement claw crane machine factory use a high-quality crane, the integrated of configuration is suitable for all claw machines and main board etc..With exquisite stainless steel case and fine workmanship, the program operation is more sensitive, the failure rate is low. The high-quality crane made of reinforced carbon steel alloy is sturdy and durable, and the joint anti-wear technology will greatly extend the service life of the crane. Cheap crane machines, the most common use of ordinary rivet joints, strongly reduces the texture and durability of the overhead crane.